On Saturday, April 16, 2005 the East Central Health District’s Tobacco Use Prevention program is inviting everyone to celebrate Kick Butts Day at the 3rd Annual Tobacco-Free Jamboree. This event will take place at the McDuffie Woods Community Center, located at 3413 Old McDuffie Rd., Augusta, Georgia. Kick Butts Day, celebrated nationally on April 13, is an initiative that encourages kids to lead the effort to stop youth tobacco use and create awareness about the effects of secondhand smoke on children. The East Central Health District along with many community partners is sponsoring the Tobacco-Free Jamboree to encourage tobacco use prevention and highlight the adverse effects of tobacco use. There will be Fun!, Activities!, Food!, Prizes!, and Entertainment that includes a laser light puppet show by BEN & KEETERS. “Kids are a powerful part of the solution to reducing youth tobacco use,” explains Sadie Stockton, East Central Health District’s Tobacco Use Prevention Coordinator. “For Kick Butts Day 2005, kids are sending the message that they want more done to protect them from tobacco,” Sadie Stockton further explains. 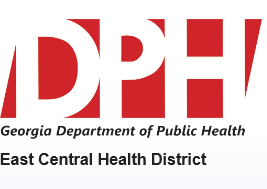 For more information about the Kick Butts Day event in the East Central Health District, contact Onnie Poe at (706) 667-4297 or olpayne@gdph.state.ga.us.